The magazine or newspaper style templates are those that display the posts summaries in the homepage by stacking the columns on top of each other. These kinds of templates are very popular nowadays, and whether it is a news or technology blog, everyone needs a fresh magazine style layout for their blogs. There are several ways to make posts appear this way. 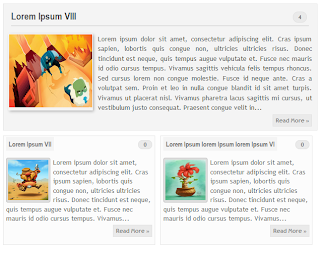 An option would be to use the Read more script to display a summary of the posts and add a conditional tag to add a different style on the first post so that it will have a larger width than the older posts. 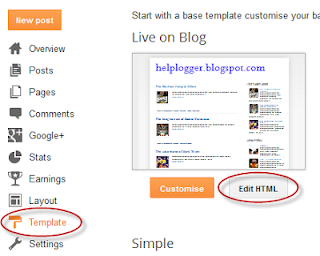 So, this tutorial will show you how to create a magazine style for a Blogger Template. By following this tutorial, you can make your boring and simple Blogger template have an attractive magazine style layout. To see how it looks, please visit this demo blog. Note: You'll find it more than one time, but stop at the second one in order to see the changes. Note: you can replace the Read More text, by changing the code in red. Note: you can change the Read More text here also, just replace the code in red with the text that you want to show. the 3rd and the 4th line is for the height and width of the small posts thumbnails (images). the same goes for what is in blue, but this affects only the first post. Since the first post is wider, it may contain a larger number of characters and we'll be able to make the thumbnail size larger. 2. And finally, we have the CSS styles. That last thing we added is a code that determines how the posts are going to look on the homepage - and archive pages as well, except for the first post. The width will ocuppy 46% of the main column width and height is set to 230px. Here you may need to experiment a bit with the sizes in order to make them appear correctly. Finally, set the number of posts to show on the homepage, so that there won't be any empty space. Go to Settings > Posts and comments > Show at most and select the number of posts that you want to appear.